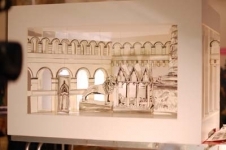 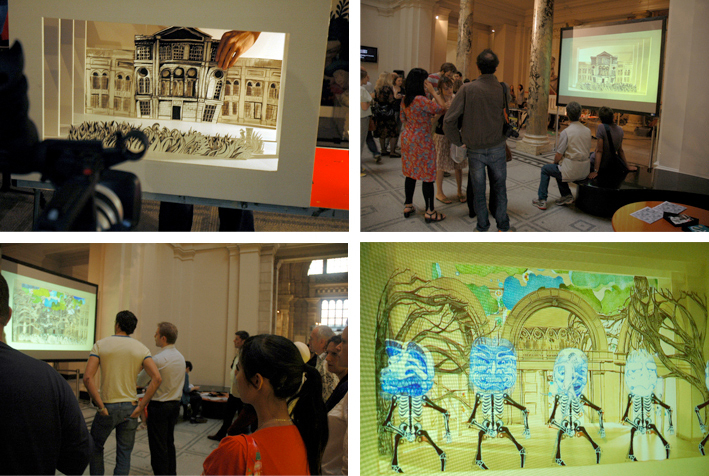 Designing and creating scenery for a live animation at the V&A late event. 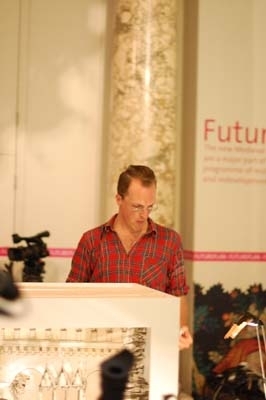 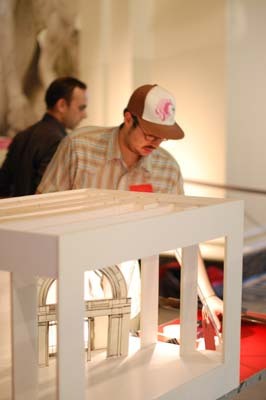 Back in 2009 I was asked by jotta.com to take part in an event they were curating at the V&A. 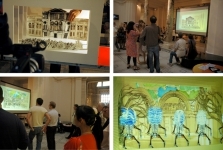 Ellie Logan, MPC and I contrived a live animation in which we made various paper scenes inside a scale model theatre V&A, then using lots of trickery the people from MPC made all sorts of characters appear live in our set and the result was projected in the atrium of the museum. 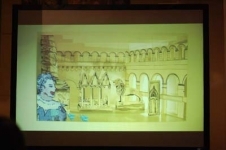 A lot of the character images came from designs sent by members of the public to the Jotta website.